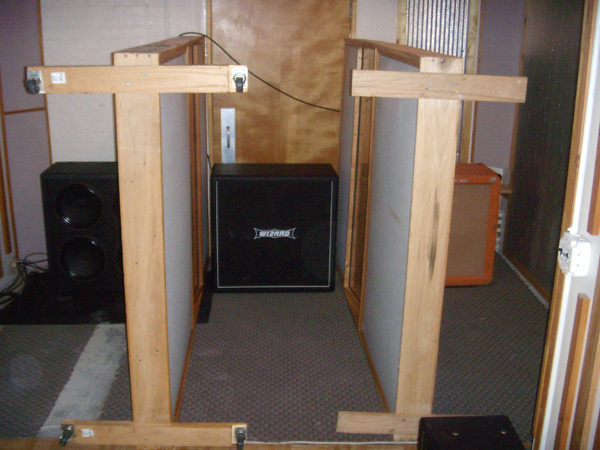 MetroSonic Studio braces for impact as we welcome heavy rock group The Damned Things to record their debut album. 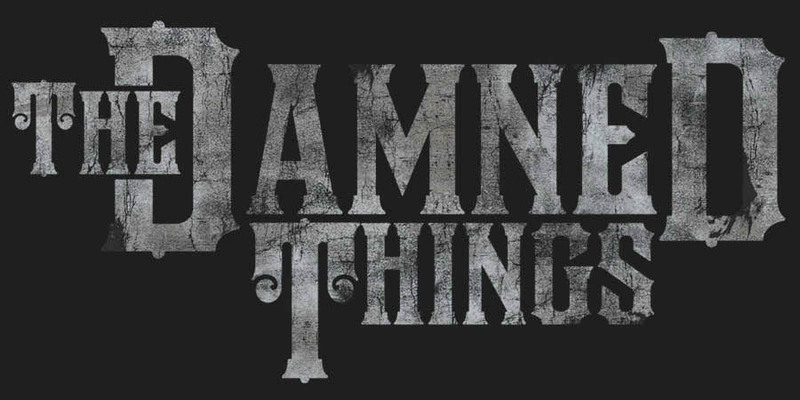 The Damned Things lineup consists of five industry veterans from such groups as Anthrax, Fall Out Boy, and Every Time I Die. Joe Trohman, Rob Caggiano and Scott Ian lead the way on guitars, and Keith Buckley’s vocals soar as Andy Hurley keeps the beat on drums. 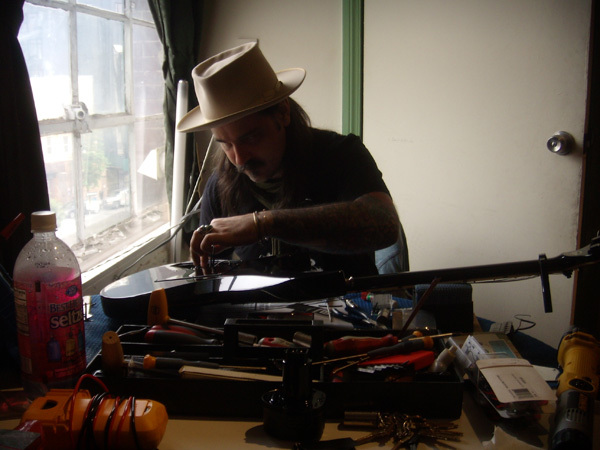 For this album, Rob Caggiano also played and recorded all bass parts, along with serving as the record’s engineer and co-producer alongside Joe Trohman. With such a varied and impressive pedigree, we are very excited to play an instrumental role in the realization of The Damned Things’ new sound. 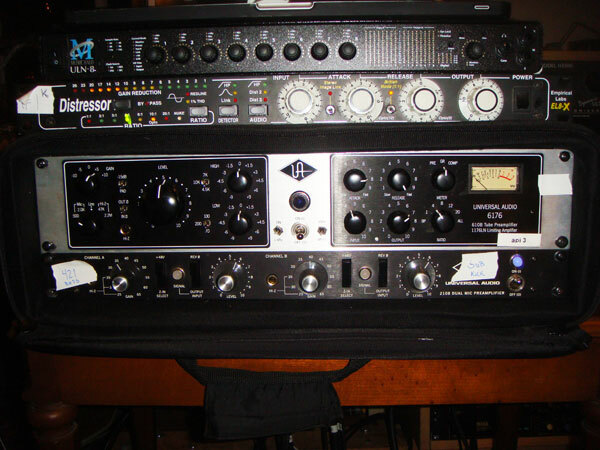 For Rob and Joe, MetroSonic was the easy choice for recording most of the tracks for this album. 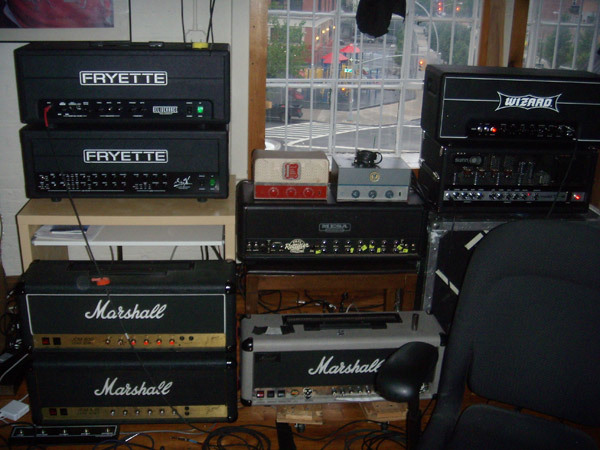 The studio’s combination of relaxed atmosphere, professional crew, naturally-lit control room and killer vintage gear are features that have made the long process of tracking guitars, bass and vocals an efficient and pleasurable experience. Now that they have been here for two months, it has become one of their favorite studios to work in. 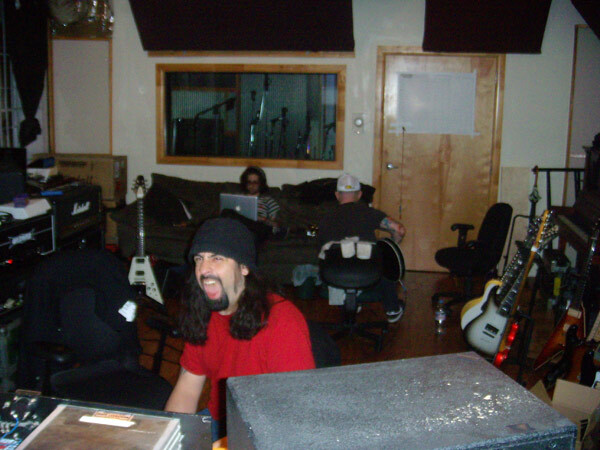 Tracking started off with a sonicly booming bass played by Rob Caggiano. 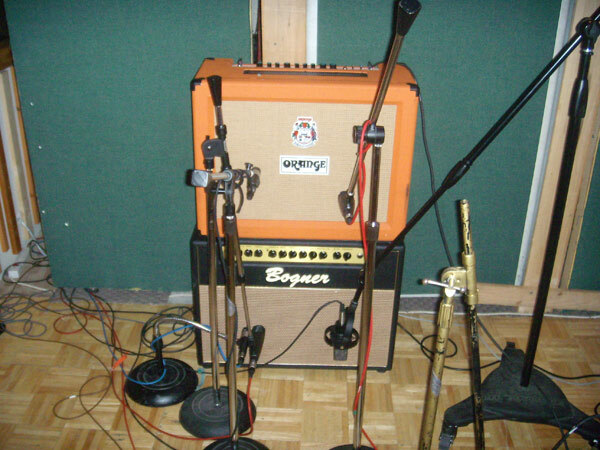 Rob played an ESP Vintage Four bass through a vintage Ampeg SVT that fed an 8 x 10 Ampeg cab. His mic choices were simple yet effective, using a Yamaha Sub-Kick for the low end and a Sennheiser 421 for the rest. Next was a week with Scott Ian bashing out rhythm guitar tracks on various songs. Scott played a few different guitars, including a Gibson V and his signature Jackson SilverBurst. 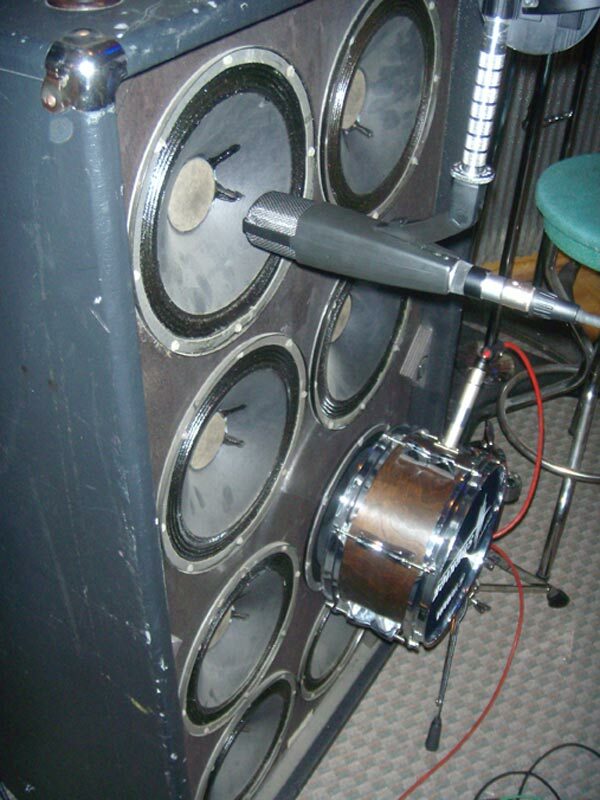 He also played through a selection of amps, mainly a Wizard, a Marshall Jubillee, and his own custom Randall Module, all through the Wizard 4 x 12. 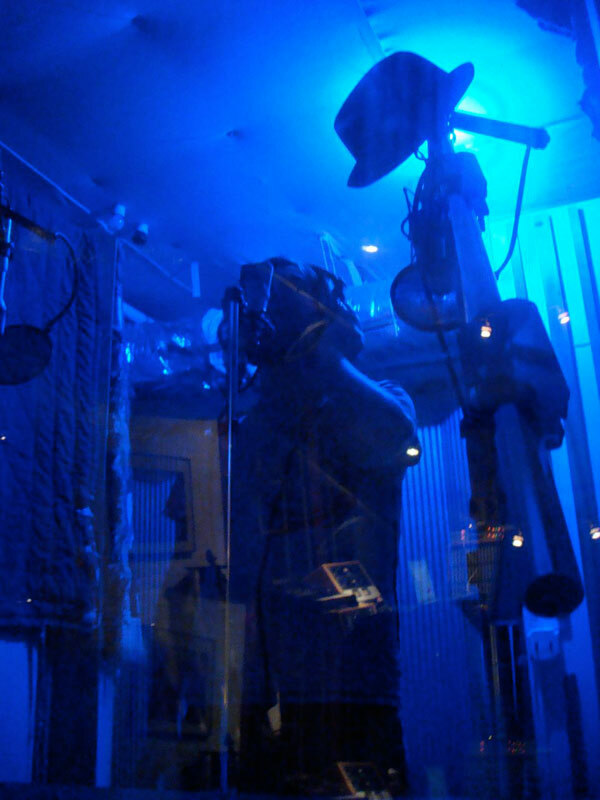 The Damned Things shifted gears as Keith Buckley stepped into the booth to record vocals. Keith showed true musicianship, nailing songs left and right. 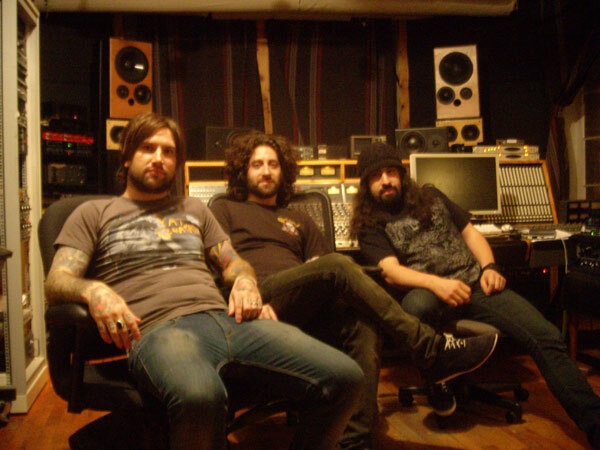 Now in the final weeks of the recording process, Joe Trohman and Rob Caggiano are shredding their parts to add a tasty thickness to the mix. Among Joe’s extensive guitar collection are three beauties that stand out; a ’72 Telecaster with custom DeMarzio pickups, a stunning custom Zemaitis, and a ’94 Guild. Joe’s choice amp thus far has been his Sunn Model T, running through an Orange 4 x 12 cab giving him the heavy fuzz he craves. 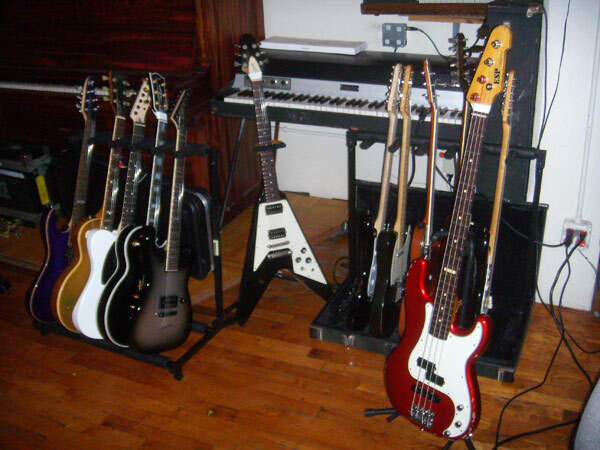 Rob’s guitar arsenal is heavy-seated in ESP land. 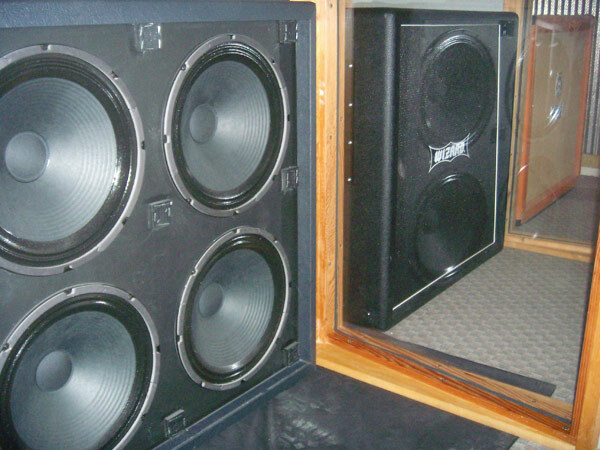 He shreds through his Fryette Deliverance amp into a Fryette 4 x 12 cab and a Wizard amp into a Wizard 4 x 12 cab, simultaneously, creating heavy metal thunder loud enough to make the Gods of Hell cringe. 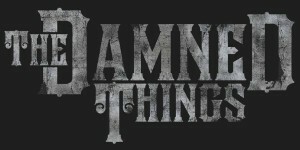 Stay tuned as The Damned Things wrap up their session at MetroSonic Studios before embarking on a worldwide tour. 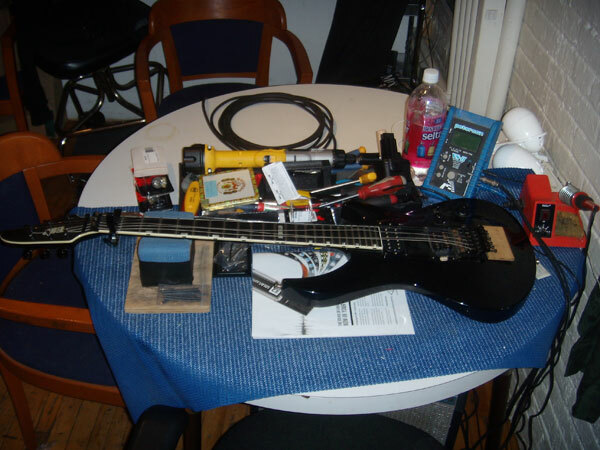 Posted in Artists, Metal, News, Rock, The Damned Things, Updates and tagged Andy Hurley, Joe Trohman, Keith Buckley, Metrosonic, New York City, recording studio, Rob Caggiano, Scott Ian, The Damned Things.